Idea Tech is top notch Digital Marketing Services Company in Islamabad. We provide Digital marketing and Search Engine Optimization (SEO) services which allow your website to generate sales, brings traffic to your site, leads, and provides company information and resources. Digital Marketing Services company Enrich Business with, Web advertising enhancement begins from the structure of a webpage. To construct a great content-rich website takes a lot of planning. A skilled designer utilizes online compositional structure standards, vigilantly joining data transmission and intuitive route to fulfil the visitor’s needs (why they visited) while achieving their very own business objectives for honour or prosperity (why the site was made). The company’s goal is to produce such content that our clients share among their social network which will strengthen our brand exposure and broaden our client reach. With the increasing number of social media applications, brands have an extensive range of outfits to select from to engage by their clients as well as customers. While it’s a very profitable deal for brands to cooperate with their target segment, yet this platform wants to be utilized prudently and professionally; as it takes a long time in positioning the brand. Furthermore, our team is an expert in managing its client’s existence in a variety of social media platforms such as, “Facebook, YouTube, LinkedIn, and Twitter”. 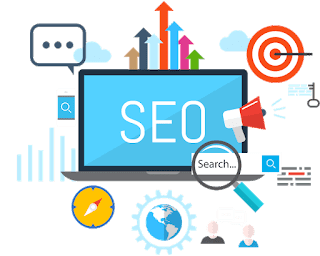 We provide Digital marketing and Search Engine Optimization (SEO) services which allow your website to generate sales, bring traffic to your site, leads, and provide company information and resources. Web advertising optimization begins from the planning of a website. 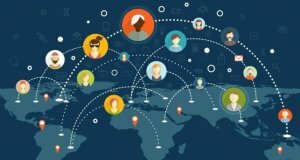 To build an incredible content-rich site a capable planner utilizes online compositional structure standards, precisely joining data information and intuitive navigation to fulfil the visitor’s needs (why they visited) while achieving their own business objectives for popularity (why the site was made) digital marketing services company.